Yet another four decade fixture of Lucha Libre wars has passed away this week. 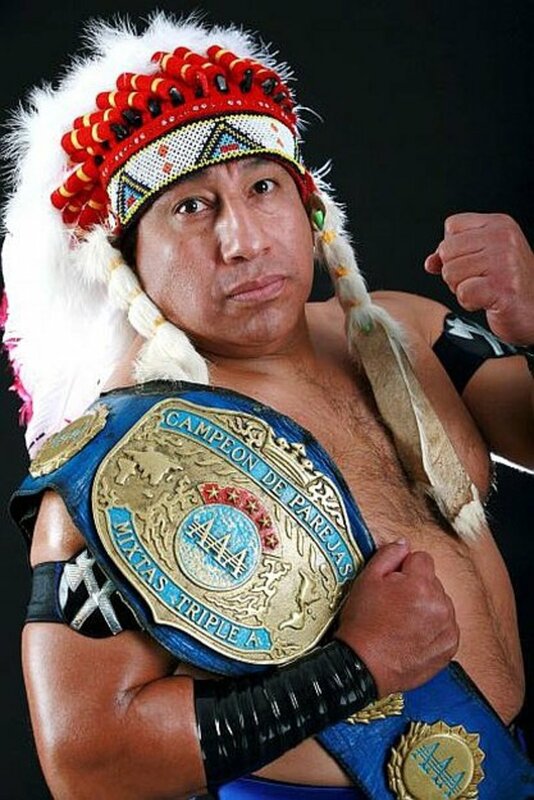 Gran Apache, real name Mario Balbuena, a longtime star of the AAA promotion, also known as El Apache, passed away this morning at the age of 58. He follows major deaths in recent weeks of Fishman, Joaquin Roldan, and Brazo de Oro. Balbuena was always regarded as a great worker during his prime, but on the small side, so he was not a headliner. He had a long career and his two daughters, Faby Apache and Mary Apache, along with his wife, Lady Apache were three of the top women stars of Mexican pro wrestling dating back more than 20 years. Balbuena started wrestling in 1975, at the age of 16, with EMLL. He worked with AAA since 1996. He was also well known as a trainer. He was an undercard fixture in AAA, and was the company's main trainer and worked with just about every young wrestler who came through the promotion. Apache was the overbearing father to his daughters, who he would feud with and make up with in an angle done over and over again. The most famous incarnation was his feud with Billy Boy, the husband at the time of Faby. The long feud took on many twists for years and included Faby and Mary having a hair vs. hair match, Apache and Billy having two hair vs. hair matches that he won in 2006 and 2007, Faby breaking up with Billy who went crazy and disappeared, and then a new masked wrestler, Alfa, started training under Gran Apache, became friends with him, started a romance with Faby, and then unmasked as Billy Boy. While an undercard feud, because of the twists and turns, it was one of the longest family soap opera programs in pro wrestling history. Apache was wrestling as late as December. In theory, when Faby beat Ricky Marvin to win the AAA trios titles, she picked her father and sister as her partners, although when she made her first defense on April 29th, it was with Monster & Murder Clown as partners.